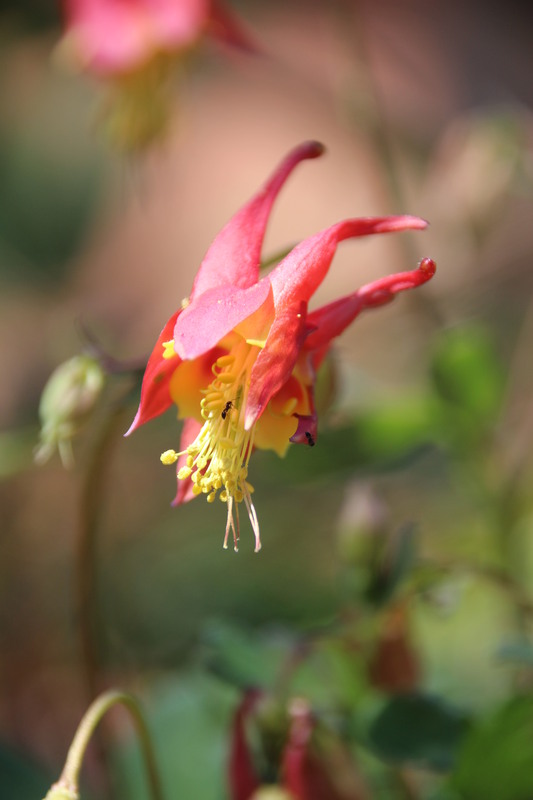 I see a little ant who is also enjoying the tiny columbine flower. Cute! I could not even see these until I zoomed in with my camera. That’s how tiny they are. 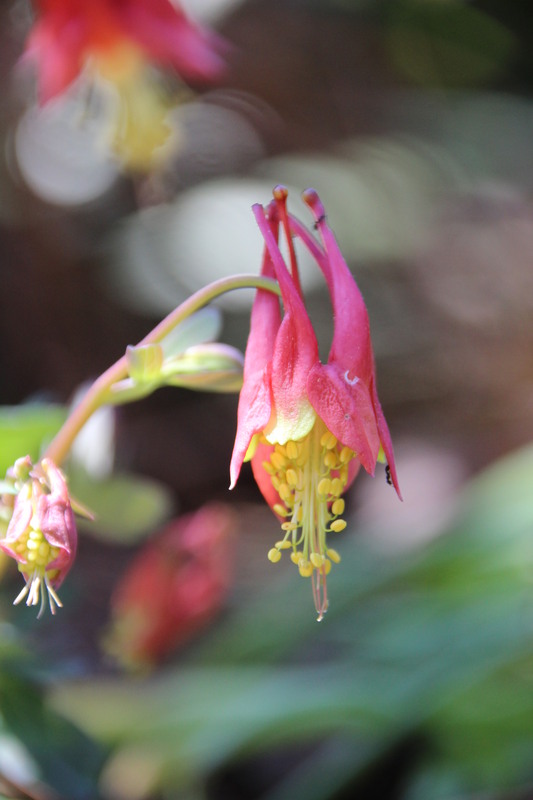 I love all columbines/aquilegia. They are so delicate and complex. My A. canadensis blooming too! 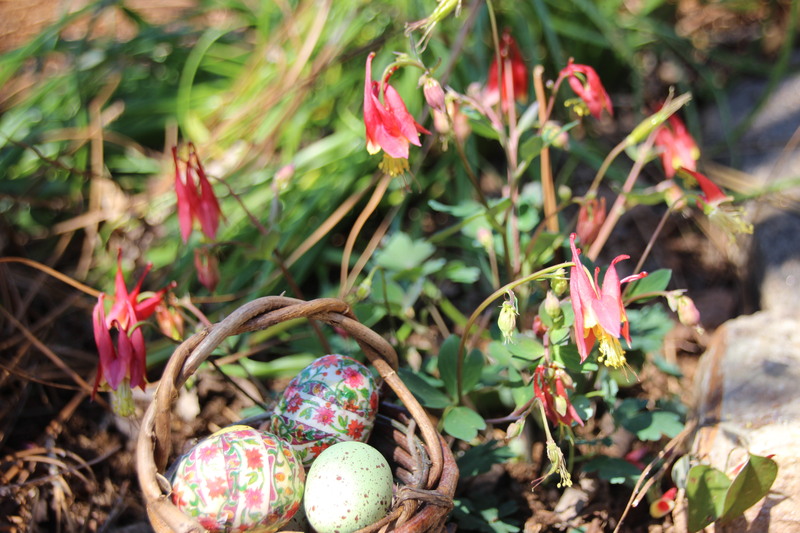 My yellow Aquilegia didn’t do much this year, that was a big disappointment. Your canadensis are lovely!